In the summer of disco and a falling space station, a brash tabloid newspaper appeared on the streets of Vancouver. It carried bold headlines and published on Sundays. The Vancouver Courier, a daily launched 30 years ago this month, sought to challenge the cartel maintained by the Vancouver Sun, an afternoon newspaper owned by FP Publications, and the Province, a respectable (believe it or not!) broadsheet published by Southam. The two papers operated in a business partnership as Pacific Press, sharing quarters and otherwise working in tandem to dissuade potential rivals. The 11-month lifespan of the Vancouver Times (date of birth: 1964, date of death: 1965) served as a warning to all who dare challenge the monopoly. But when workers at Pacific Press found themselves hitting the bricks on a picket in the fall of 1978, the owners of the twice-a-week Kerrisdale Courier immediately ratcheted up their publishing schedule by a day. Once backing money was arranged, it was decided to go from thrice-a-week to daily. A 48-page tabloid hit news-hungry streets on the morning of July 4, 1979, with a blaring, all-caps banner headline: ROGUE COPS SPARK PROBE. Inside, readers found stories on Nazis and abused old folks, as well as a fashion spread featuring the latest string bikinis. Page Three, reserved in Britain as well as in the Toronto Sun to thespian aspirants of a buxom nature, featured a female stripper as large as the B.C. Lions front line known as Big Fanny Annie. In retrospect, the debut issue qualified as the high point. I started work at the Courier, aged 19, that very day, without having had to undergo the inconvenience of a job interview. The new paper was throwing money around, luring talent from the striking newspapers, including rabid columnist Doug Collins. A cub reporter came so cheaply as to not even be worth the time of a manager. Scanning the inaugural edition, there was but one inescapable conclusion. I was a teenage tabloid hack. Soon enough, my contributions to the city’s knowledge included pieces on a boy with plaster replicas of Sasquatch’s footprint, opinions solicited from passersby about the likelihood of Skylab landing on our noggins, and a profile of a deejay who introduced both Elvis and the Beatles to Vancouver audiences. All good fun. Soon, though, the Courier’s more experienced staff provided a lesson in a certain kind of journalism. The tabloid had hired enough Brits to warrant an article in the U.K. Press Gazette. These ex-Fleet Streeters, failed or not, did not let facts serve to louse up a good yarn. The paper’s ace reporter was handed a wire story about an American doctor puzzled by several patients complaining about an odd injury — all sported infected middle fingers. The doc determined all were disco regulars, who, frequently snapping their fingers in time to the beat, had torn open the skin. The wordsmith called over myself and buddy Geof Wheelwright, the two youngest staffers in the newsroom. What other disco disorders were there? “Disco hip from too much swaying,” I added. The following morning our nonsense was included in an article that attributed our wholly conjured ailments to an unnamed local doctor. If making up facts is easy for a reporter so is it easy for a photographer to use a reporter as a model. So, I appeared in the pages of my own newspaper as a junkie shooting up heroin; a newsboy peddling the paper downtown; as a hapless victim in a magician’s guillotine. The Courier had a wacky sensibility not just on its pages. The newsroom was interrupted on occasion by the demented rants of Mr. Collins, a crank transforming into an anti-Semite, who accused copyeditors of various conspiratorial misdeeds. Another crackerjack reporter once broke the temporary still of the newsroom by asking over the telephone in a loud voice, “So, what was it like to sleep with the prime minister’s wife?” Or words to that effect. The newspaper included a Lucky Reader feature in which $50 would be awarded to the customer who appeared in a photo holding the Courier. But the photographers spent so much time driving around trying to find someone, anyone, holding the tabloid that they began to stop people on the streets, shoving a copy into their hands with the promise of a reward if they bought the next day’s edition. As it turned out, the Courier was doomed from the start. The Pacific Press strike settled just before the daily launched. The plug on the daily tabloid was pulled on Aug. 19. The spirit of the unhappy farewell edition was captured by a sports writer in whose final column the first letter of each paragraph offered a common expletive to a Pacific Press worthy who had disparaged the fledgling publication. You can find daily Courier alumni (parolees, surely? — ed.) in Microsoft’s employ, at the Goldstream Gazette, working as official photographers at the 2010 Olympics, directing the news at Global BC. Managing editor Cliff Barr became editor of the Globe — not this worthy newspaper, but rather the supermarket tabloid known for Elvis and sasquatch sightings. In Memorium: the daily Courier (July 4, 1979 — Aug. 19, 1979), son of the Kerrisdale Courier, brother of the Vancouver Courier, inspiration to the tabloid Province, distant relation of the National Enquirer. Lamented by a few, mourned by none. This is how you find out the man who killed your daughter has himself been killed. You do not get a call from the police. You do not get a call from a reporter. You get an item on the news. In a moment, it all comes back. The shock of the horrible, unbelievable word of her death. The awful funeral service. A mother’s suffocating grief. A family never again to be together. That the family had come to this country to escape the violence of their homeland seemed, in retrospect, to be an especially cruel irony. On the news, it was learned a drifter known as the Cookie Bandit was killed in a police shootout. Joseph Henry Burgess (aka Job, Job Week, Joe Henry Burke) got his cutesy nickname from breaking into isolated cabins in New Mexico to scrounge for food and clothing. He was intent on another burglary at a cabin in the rough mountain country outside Albuquerque when confronted by police on a stakeout. In the ensuing shootout, an officer received a fatal wound, the final victim of a demented murderer. Geoffrey Durrant reacted to the news like few others could. On an early summer’s evening in 1972, in the bush next to the rugged beauty of Radar Beach, south of Tofino, a young couple had the misfortune of coming to the attention of a religious zealot. He shot both in the head with a .22-calibre rifle. He is believed to have been offended by their having slept together without benefit of wedlock. The Durrant family never recovered from the terrible news. A murder claims a life. That is obvious. What is also too often lost is the person’s identity. Anne Durrant became a victim and even now, all these years later, that is all most of us know about her. A father would like you to know a bit about his youngest daughter. “She was a lovely young woman,” he said. A father can only remember fondly his indulgence of a daughter’s passion. 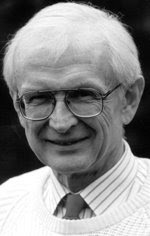 Mr. Durrant was an aspiring professor in South Africa when he married Barbara, an English-born emigre who trained as a nurse. She helped provide health care for poor black families. In time, social work led to political work, as the Durrants became active in the founding of the Liberal Party, organized in opposition to apartheid. In 1955, Barbara Durrant joined the non-violent Black Sash movement, opposing pass laws and other racist legislation. She broadcast on Radio Freedom, a pirate station that aired news the state otherwise suppressed. 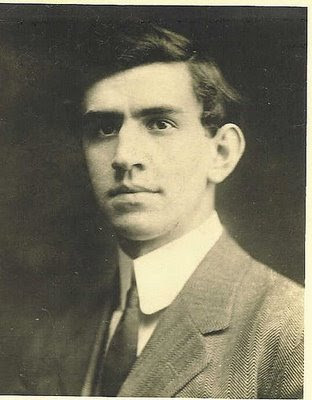 Mr. Durrant, who was head of the English department at the University of Natal, a hotbed of opposition to the government’s policy of racial segregation, wrote news bulletins and pamphlets. Over the years, many of the Durrants friends were arrested. In those tumultuous days, they also began a family. A son, John, was born in 1943, followed by Catherine, known as Kate, in 1950, and Anne, the baby, in 1952. As their son approached the age in which he would drafted into the South African military, where he would be compelled to enforce laws the family found repellent, the Durrants decided to start anew in peaceful Canada. The professor became head of the English department at the University of Manitoba, later taking the same position at the University of British Columbia. He wrote two studies of the poetry of William Wordsworth, one of which was reissued this year as a digital edition on the 30th anniversary of its original publication by Cambridge University Press. The academic life suited well the professor, who was invited to take part in the annual summer expeditions by the Harry Hawthorn Foundation for the Inclusion and Propagation of the Principles and Ethics of Fly-Fishing, a gathering of professors formed during a trip to Vancouver Island. At home, however, all was not calm. After graduating from Point Grey High School, young Anne enrolled in the university’s Arts One, a fledgling integrated humanities program said to foster critical thinking. Prof. Durrant feels even now his young, impressionable daughter drifted from her family after being led astray by a teacher. “She was influenced by an instructor in Arts One into taking up the hippie lifestyle,” he said. These days, the word hippie carries with it an innocent notion of peace and free love in a cloud of hemp smoke. Back then, for some, the hippies were dirty, zonked on drugs, and to be feared. To some, the hippies were not a beautiful dream; the hippies were a nightmare expressed as Charles Manson. You can imagine the consternation of a father that his beautiful daughter, who in high school wore sundresses and allowed her silken, blonde hair to flow long past her shoulders, would fall in with people who lived rough as treeplanters when not collecting welfare while living on a commune near Hope. Miss Durrant and a friend, Leif Carlsson, a Swedish exchange student, joined hundreds of other free spirits camping in makeshift lean-tos along the spectacular beaches on the west coast of Vancouver Island. Father and daughter had a falling out. All those sacrifices, the moving to a new country, mocked by a girl’s selfish indulgences. It felt like losing a daughter. The pair had a reconciliation. Then came news of the murders on June 21, 1972. Barbara Durrant never recovered. She continued to garden,as she had done since childhood, even that soothing hobby failing to extinguish the guilt about having made the fateful move to Canada. She carried that feeling until her death in 1999. The parents had their youngest child cremated, scattering the ashes of Anne Barbara Durrant along a wooded path in the University Endowment Lands, a forest that begins one block from the family home in westside Vancouver where the girl maintained her collection of porcelain horses. Today, a father marks his 96th birthday, still grieving, but with the certain satisfaction of knowing the monster who murdered his daughter will kill no more. Like many kids, John Haar learned baseball playing catch with his father. On summer evenings, after a full day of repairing equipment for the telephone company, the tired man and the eager boy would go to the park. From so modest a beginning — tossing the ball with his dad in eastside Vancouver — grew a career that will be recognized on June 23, when Mr. Haar will receive the highest honour his homeland affords a ball player through induction into the Canadian Baseball Hall of Fame at St. Marys, Ont. The ceremony will also recognize the late Sherry Robertson, a Montreal-born infielder, and George Lee Anderson, a middling middle infielder but a brilliant field manager, better known to baseball fans by the ageless nickname, Sparky. As it turns out, Mr. Haar was a better coach than player himself. For 13 seasons, he ran the National Baseball Institute program out of Vancouver. Eight of his players graduated to The Show, as the major leagues are known by the fraternity. A spot on a big-league roster eluded Mr. Haar. It was not for lack of trying. At 63, he still flashes the shy, boyish grin visible in photographs from his playing days, when short-cropped hair left his ears exposed to the elements. These days, his hair is as white as a fresh chalk line. Over time, the summer evenings spent with his father grow warmer and longer in the retelling. When the boy was seven, a fleet young outfielder from Oklahoma joined the New York Yankees. Mickey Mantle became John's boyhood idol, a hero whose swing he imitated in Little League and whose thoroughbred gallop inspired a boy's pursuit of his father's fly balls on the neighbourhood field at Begbie Annex (now Thunderbird Elementary). 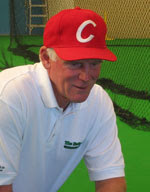 Mr. Haar studied physical education at the University of British Columbia, where he also won a spot on the infield of the varsity baseball team. The coach was Frank Gnup, a stocky American of fire-plug physique who chewed cigars and about whom it was said the first letter of his family name was silent, if not the man himself. Football was Mr. Gnup's game. He coached the Hamilton Wildcats and played for the Toronto Argonauts, but also played and coached baseball in a semi-professional circuit in Ontario. At UBC, he handled both sports. Mr. Haar was an infielder on the diamond and a kicker on the gridiron. In spring, after final exams were written, the coach loaded the ballplayers into station wagons for a tour along the Pacific Coast. The students played top American college and amateur teams in daily doubleheaders, like barnstormers, only without pay. The southern exposure led to several players being signed to professional contracts. Mr. Haar was snagged by the San Francisco Giants, who dispatched him to a Pioneer League farm team at Twin Falls, Idaho. He was to be the new third baseman of the Magic Valley Cowboys. The Giants organization released him at the end of the season. Happily, he was snatched by the New York Yankees. The new boss assigned him to Johnson City, where a summer under the Tennessee sun would spark a lifelong appreciation for iced tea, not to mention corn muffins. In the locker room, Mr. Haar was handed a hand-me-down uniform from the parent club. The number on the back was 7 — Mickey's famous number. He had moments when he felt worthy of the great Mantle. One day, he smacked four doubles. After the last of those, as he sagely advanced a base on a fielding miscue, he remembers sliding into third base to see his skipper holding up four fingers, one for each double. He might never have been happier. He still regrets letting the uniform go. Mr. Haar returned to Vancouver, completing his degree in physical education before picking up a teaching certificate and finding a job at a school in the Okanagan, where he would meet the woman who would become his wife. By the late 1970s, his father, Rud Haar, had begun a second career as the groundskeeper of Nat Bailey Stadium. The home of pro baseball in Vancouver, once known as Capilano Stadium, it had been left to rot for several years. The elder Mr. Haar called on sweat labour and his own agrarian instincts to tame a field where only weeds had grown for so long. The gardening won admiring comments from players and coaches. It was common for Mr. Haar to be told his field “played well” — high praise from ballplayers whose promotion to the big leagues could be scuttled by an errant hop of the ball. Mr. Haar cultivated a lawn as green as a wide-eyed rookie. The grass, a blend known as Park Special, was trimmed to a crew-cut tidiness. He used clay from a special source in the Fraser Valley that he shaped into a pitching mound. When rains turned the surrounding dirt into a gumbo, the groundskeeper would get down on his knees with a blowtorch to dry it out. 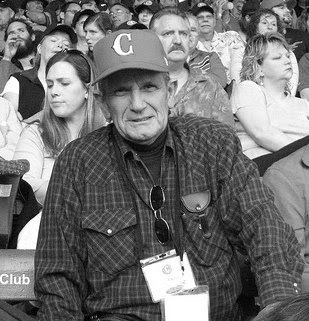 He recruited four retired Japanese-Canadian fishermen to hang netting to protect spectators from foul balls. Their amateur baseball careers had been interrupted during the Second World War, when their own government forced them to abandon jobs and homes for internment in the B.C. Interior. He was sympathetic. 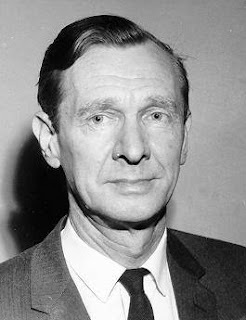 Rudolph Maxmillian Haar was born in 1916 to immigrants from Austria-Hungary. His father had arrived in Canada a few years earlier to help open a pulp mill at Woodfibre, a company town on Howe Sound. With the Great War raging, the family faced terrible prejudice. Woodfibre could not be reached by road and the newspapers from Vancouver arrived by boat a day late. As a paper boy delivering one of those day-old editions, he read a banner headline he would never forget: Yanks win; Ruth hits 3 HRs. From then on, the boy was hooked on the Babe and baseball. His own dreams of baseball glory were thwarted when he was rejected after a tryout for a spot on a senior-league team. Instead, he taught his only son what he knew. John Haar developed a knack for spotting a tiny hitch in a swing, or a minute quirk in fielding a ball. Baseball is a game of endless refinement and Mr. Haar knew how to tinker. He runs clinics and coaches an elite youth team on the North Shore. Every spring, some of his former players can be found in Arizona and Florida preparing to extend careers made possible in part by his coaching. In November, Rud Haar died at home, aged 90. Last month, John Haar lost his father-in-law. “A rough end to 2006 and a rough start to 2007,” Mr. Haar said. While in mourning, he got the telephone call from the Canadian Baseball Hall of Fame. Good news came at a time of grief. His first thought on the phone was that if a Haar was entering the hall it should be his father. Then, he cried. A survivor from HMCS Esquimalt is helped to shore. Canadian Press photograph. The roll call of HMCS Esquimalt is down to a final name. Joseph Wilson, aged 19 when he enlisted, aged 23 when his ship sunk, is the last surviving crew member who was aboard the minesweeper when it was struck by a torpedo. News of his survival — and of the terrible loss of 44 of his comrades — was released by military censors on May 7, 1945, the day before the end of the war in Europe. What a terrible shock the deaths must have been to wives and mothers eager for an end to the conflict. Their boys made it so far only to be cruelly lost in a final battle. Mr. Wilson has been asked many times to recount how an ordinary patrol along the approaches to Halifax Harbour resulted in the destruction of the last Canadian ship lost to enemy action. As if he could ever forget. More than six decades later, the shock of the attack remains. “It was so unexpected,” he said. Every year, even as he grows less physically robust with each turn of the calendar, Mr. Wilson makes the dutiful pilgrimage from his home in Chase, a village at the southern end of Little Shuswap Lake, northeast of Kamloops, to the township that gave its name to the minesweeper. Over time, the list of 27 survivors, all plucked from icy water that claimed friends, has been reduced. At the start of this year, only three were left. In late June, Albert Bruce Campbell died, aged 94. Known as Ab from his initials, the able seaman joined the crew of the Esquimalt with a medal for bravery to his credit. In October, 1943, the crew of the HMCS Kuitan was unable to manoeuvre the patrol boat to rescue two men aboard a drifting oil barge during a storm off the west coast of Vancouver Island. Mr. Campbell volunteered to join Sub-Lieutenant Leonard Idiens in the ship’s smaller boat. Fighting gale winds from the southeast, the pair plucked the marooned seamen from the barge in treacherous waters. Mr. Campbell was awarded the British Empire Medal for gallantry. He would get a mention in despatches for his actions in the hours following the sinking of the Esquimalt. On July 11, Thomas George Kidd died, aged 84. Mr. Kidd married after the war, raised a family, spent 30 years inspecting grain elevators. He liked to take the children camping and, once they grew up, he liked to take his wife to Hawaii. 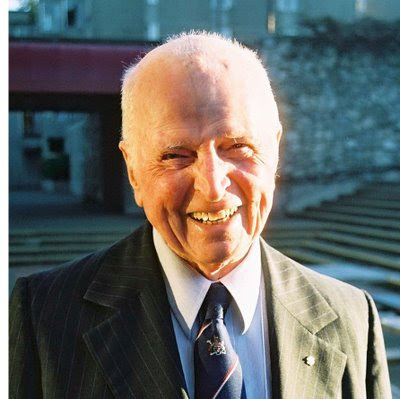 He did not talk about the war, he did not stay in touch with his shipmates, he did not attend the annual service at the cairn on the grounds of Esquimalt municipal hall. Had he done so, he would have read his name as a survivor and he would have read the names of friends to remain forever young in memory. Over time, the HMCS Esquimalt Memorial Association came to believe he had passed away. To learn of his recent death was like losing him a second time. Now, Mr. Wilson is the lone Esquimalt witness left to tell the story. He was on duty on the bridge as morning dawned on April 16. Unknown to the crew, the echo of their sonar was detected by a U-boat at periscope depth. With the minesweeper steaming directly at them, the submarine fired an acoustic torpedo, which struck the Canadian ship at the engine room in the stern. In a little more than 200 seconds, the Esquimalt was gone, taking with her 28 men. It went down so fast not even a mayday had been issued. Another 43 scrambled off the ship, some clinging to Carley floats. Mr. Wilson, who had been a meat-cutter in Prince Albert, Sask., slashed both his legs in abandoning ship. The cold sea water cauterized his wounds. An hour passed. Then another. Planes flew overhead, mistaking the men for fishermen on small boats. No one knew the Esquimalt was gone. Or that desperate men awaited rescue. The sailors prayed and sang songs. The cook, Thomas McIntyre, of Victoria, promised to cook T-bone steaks for everyone once they were ashore. A third hour passed. A fourth. They could see the Nova Scotia shore in the distance. The cruelty of their situation seemed unfathomable. The men immersed in water began to slip away. They died in the arms of their comrade, their bodies lashed to the floats. In the sixth hour, the men were spotted. 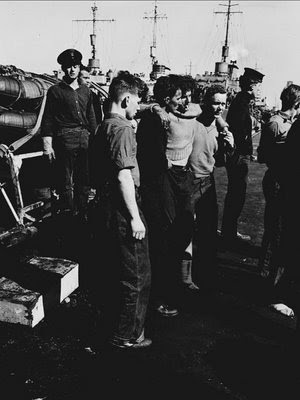 HMCS Sarnia picked up 27 survivors. Sixteen who survived the torpedo died from exposure in the chill water. Among them was the cook, who was buried at the Esquimalt (Veterans’) Cemetery, known as God's Acre, nestled between two holes of a golf course. Ab Campbell was credited with saving several lives in those perilous hours, keeping up spirits through “his cheerfulness and his cool and collected attitude,” as his citation noted. Time now has claimed all but Mr. Wilson. He stayed in the navy as a sonar instructor, putting in 25 years before retiring in 1966 as a chief petty officer, first class. He then farmed for another 30 years at Round Hill in Nova Scotia’s Annapolis Valley before moving to British Columbia. He is taking it easy in the summer heat. A handful of Sarnia crew members are still alive, as is Werner Hirschmann, who served aboard U-190 as chief engineer. The circumstance left the submarine crew with little choice but to attack, “like a snake on whose tail you are stepping,” he once told me. He moved to Toronto after the war and has since been made an honourary member of the memorial association. Once a foe, he is now a friend. Like all seamen, they shared a common enemy — the sea. In April, on the anniversary of the sinking, Mr. Wilson plans to return to Victoria to attend the annual memorial ceremony. If so, he will be 88. “Made it this year, last year, the year before that, the year before that, and the year before that,” he said. Since he can’t forget, he considers it his final duty to bear witness to those relegated to memory. Mike Paugh (centre) takes command from his homemade replica of Capt. Kirk's chair. 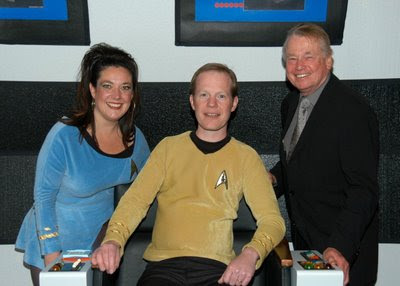 He is flanked by his wife Barb Paugh and former actor Peter Duryea, who appeared in the original Star Trek pilot. Wanda Caven photograph. At the time, the suggestion seemed so innocent, so innocuous. For years, the hard-working volunteers of the local Kinsmen and Kinettes club in Cranbrook played host to a dinner theatre with a murder mystery theme. Club members got to wear costumes, while displaying their thespian chops. Money was raised for charity. But after a while the Colonel-Mustard-in-the-conservatory-with-a-candlestick schtick became old hat. The annual fundraising dinner needed a new theme. Mike Paugh liked the idea. He remembered watching the original television program in repeats on KVOS, the station based in Bellingham, Wash., that seemed to best appreciate the viewing habits of a teenaged boy in the early 1980s. He hadn’t seen the show in years, so went in search of details on the Internet. Before too long, he had instructions on the construction of the command chair used by Capt. James Tiberius Kirk on the bridge of the original Starship Enterprise. He decided to build one for himself. Then came the treks to conventions; a tour of the rides at Star Trek: The Experience, a tourist attraction in Las Vegas; and, a pilgrimage to see an original chair at the Science Fiction Museum and Hall of Fame at Seattle. He also bought a snazzy gold captain’s uniform for himself and one of those sweet mini-skirted blue uniforms for his wife. Both boys got a uniform, too. At long last, the chair, which swivels 359 degrees, was complete. It was the hit of the fundraising dinner. To sit in the command chair was to be transported from the mundane reality of everyday life into the fantasy of exploring strange new worlds, seeking out new life and new civlizations, boldly going where no financial consultant has gone before. Mr. Paugh (pronounced “paw”) is a much skinnier version of William Shatner’s Kirk. At 42, he’s got the boyish look of Ron Howard with a William H. Macy haircut. A banker’s son, he spends his days crunching numbers and juggling RIFs, LIFs and RSPs. The chair helped him gain a new friend. A retired actor living nearby heard about the fundraising dinner. He offered his services. In an episode of “Daniel Boone,” he died in his real-life father’s arms. Dan Duryea was an actor movie-goers loved to hate, as he mostly portrayed charming villains. The younger Duryea lost some of his ardour for the profession after his father’s death in 1968, eventually resettling in the West Kootenays and becoming a Canadian citizen. Of all the shows in which he appeared, only one continues to animate fans. In the original 1966 pilot of “Star Trek,” known as “The Cage,” he portrayed Starfleet officer Jose Tyler, a boyish navigator. The character was not included when the show became a series on NBC in the fall of 1966. That has not stopped the show’s fanatics from celebrating a performance otherwise relegated to trivia. These days, Mr. Duryea operates a boat tour company and a wilderness camp from his home in Gray Creek. He also heads an eldercare cooperative that is building a facility next to the new school in nearby Crawford Bay. While happy to indulge “fans who cherish old memories,” he is glad he never became “entranced by the glamour” of Hollywood. He has found a more rewarding life in the Kootenays, he said yesterday on his 70th birthday. 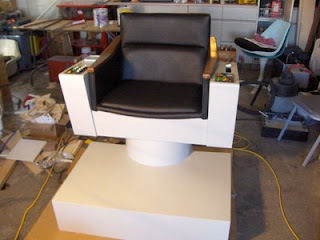 Back in Cranbrook, Mr. Paugh placed his captain’s chair in the lobby of the Columbia Theatre for the premiere of the movie “Star Trek.” Fans got to take a spin in the chair and have their photo taken flicking switches and pushing buttons on the arm rests. You can buy an officially licensed replica of the chair from an online company for $2,717.01 US (plus $400 shipping), but Mr. Paugh finds itself more satisfying to have built one with his own hands for about a third the price. In fact, he has enough material left over to construct a second. “I haven’t put any sounds in it yet, but maybe some day,” he said. The best posting came from someone imagining a pretend captain sitting in the chair while calling into the kitchen. Kirsten Fischmann marries Reg Phillips in Prince Rupert in 1969. The boy arrived early. Weeks early. After the doctor ensured he was breathing and after the nurses cleaned him, the boy was placed on a scale. He weighed just 3 pounds, 7 ounces. About 1.58 kilograms. Less than the weight of a pineapple. She counted 47 horrible days in which her first child remained behind glass in an incubator. At long last, a mother was allowed to bring her boy home. Baby Jason thrived. The baby is a man now and adept with his fists, as has been seen by more than 100,000 viewers on YouTube. Jay Phillips, 38, was set upon by three men hurling racial epithets, the cowardly attack filmed by a spectator overlooking the scene. The widely-reported attack led to the overnight organization of anti-racism rally in Courtenay. Hundreds attended. Before the rally, before the YouTube video, before three thugs in a pickup truck picked on the wrong man, before a baby boy was born to spend the first 47 days os his life in an incubator, a teenaged girl caught the eye of a handsome and fun-loving young man. Kirsten Fischmann was born in Copenhagen, moving to Canada as a girl. Her family settled along the northern British Columbia coast at Prince Rupert, where her father, a trained chef, worked as a fisherman. She remembers watching local CHTK television station one day in the mid-1960s. The show was TK Dance Party and maybe the song being played was “Green Onions.” Teenagers were moving in unison to one of the popular fad dances of the day. She spotted Reg Phillips, a boy she knew from school. She was 14, four years younger than her future beau. Her dad knew his dad, who had been a railway porter. 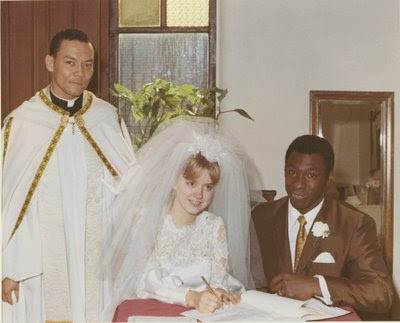 Four years later, on Sept. 27, 1969, the couple got married at the Cathedral Church of St. Andrew in an Anglican ceremony attended by about 200 guests. The bride wore a white floor-length bridal gown with lace sleeves and shoulders and a train, her face covered by a tulle veil. The groom looked dapper in a shiny brown suit with a gold tie, a white carnation worn as a boutonniere. Just two years earlier, the U.S Supreme Court declared anti-miscegenation laws to be unconstitutional, ending all race restrictions on marriage. The couple in the landmark civil rights case were Mildred and Richard Loving. The case was known as Loving v. Virginia. All romantics can rejoice in knowing Loving triumphed over all. What does the bride remember of a ceremony now nearly 40 years distant? The local newspaper had a small story, even published a photograph. Mr. Phillips became a truck driver and, later, a driving instructor who also taught the operation of heavy machinery. They had one boy and then another two years later. He was named Justin. 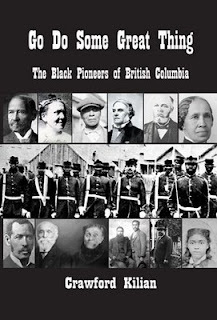 They lived in Kamloops, later moved to Maple Ridge. Ms. Phillips, a striking blonde, got a lesson in the daily humiliations faced by people of colour. At a store, another customer spotted her with her dark-skinned sons and made a loud comment involving a racial epithet and a woodpile. At a chain department store, her sons were always followed by security, while she could never find a clerk for assistance. In kindergarten, Jason’s teacher referred to him by a racial slur and insisted he have his afro trimmed. In high school, Jason responded to a racial taunt by punching another boy. The retaliator, not the instigator, was suspended. That her sons faced a lifetime of such belittlement made her angry, as it would any mother. There was little respite. At a bar, another patron assumed she was a prostitute, her husband a pimp. They stopped going out. As the boys grew up, their father taught them to box. He played basketball with them, took them on some of his long hauls to see the rest of Canada. Jay Phillips knows how to handle himself. He faced a dilemma after being attacked. He did not want to burden his mother with worry about his safety. Both were still grieving the death of Reg Phillips. So, how to explain the bruises and stitches to his mother? He was going to tell her he’d taken an elbow while playing basketball. The posting of the video on the Internet ended that plan. Her son telephoned her with the news. He told her about the video. She was understandably horrified by what she saw. She also thought about her husband, who had been with her for all the other incidents. Reginald Dennis Phillips died six days before Christmas. The celebration of his life was held three days after Christmas. A month earlier, they celebrated what not so long ago was unthinkable — the election of a mixed-race man, like their sons, to the U.S. presidency. She knows her husband would have been upset by the assault, but proud of his son’s fortitude. She dreams her grandson Malik, whom she held during last week’s anti-racism rally, will be raised in a more just world. Meanwhile, his father expects he will teach him self-defence. 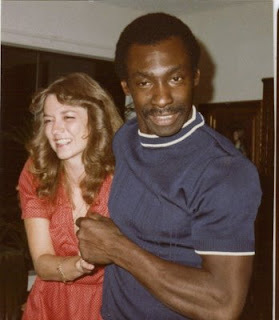 In the past, even some friends made a fuss about Ms. Phillips marrying a black man. Such an ordinary thing, to fall in love. And so magnificent, too. 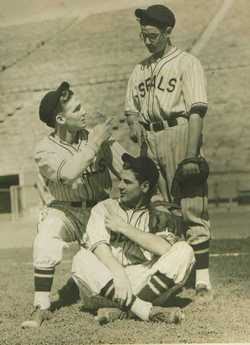 Bill Lillard (left) poses at Seals Stadium in San Francisco with Ernie Raimondi (seated) and Dom DiMaggio (right). Bill Lillard enchanted Toronto baseball fans with his derring-do on the bases and horrified them with his unpredictable fielding at shortstop. Mr. Lillard hit just two home runs in two seasons with baseball’s Toronto Maple Leafs. One of those came in a game on May 20, 1941, when he smacked a two-run homer against the Rochester Red Wings at Maple Leaf Stadium. Later in the game, his older brother, Gene Lillard, matched the feat for the visitors with a two-run shot of his own. Both brothers played in the major leagues, Bill with the Philadelphia Athletics and Gene with the Chicago Cubs and the St. Louis Cardinals. Bill Lillard was born on a California lemon and walnut ranch, the youngest of three sons. His father, the ranch foreman, later served as a county judge for a quarter-century. The boy followed his older brother into professional baseball, making his debut with the Tucson (Ariz.) Cowboys in 1937. He was promoted to the San Francisco Seals, where his teammates included such notables as playing manager Lefty O’Doul and outfielder Dom DiMaggio (obituary, May 9). In 1938, Mr. Lillard boasted a sterling .335 batting average in 278 at-bats for the Seals in what would be his finest season. The Seals sold him to the Athletics that summer for $35,000. He played in 80 games over two seasons with the parent club, recording a .244 average. In 1939, he led the International League by starting 50 double plays while playing with the minor-league Baltimore Orioles. The 5-foot-10, 170-pound infielder made a favourable early impression when assigned to Toronto in 1940. Later assessments would describe his fielding as “jittery.” Mr. Lillard committed an average of an error every other game, displaying the weakness that would prevent him from enjoying a lengthy career in the majors. After the United States entered the Second World War, Mr. Lillard took a hiatus from baseball to work in an airplane manufacturing plant. He later served with the 1st Cavalry Division of the U.S. Army in the Pacific Theatre, where he contracted hookworm, jaundice, malaria, and dengue fever. He returned to baseball for three seasons at war’s end. Mr. Lillard also played in the minors for the Baltimore Orioles, Hollywood Stars, San Diego Padres, Jersey City Giants, Minneapolis Millers, and Fort Worth (Tex.) Cats. After leaving the game in the middle of the 1948 season, he worked in the postal service for 32 years until retiring in 1980. 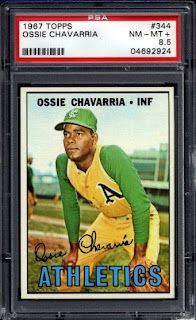 He was inducted into the Hall of Fame of the Santa Barbara (Calif.) Athletic Round Table in 1973. Mr. Lillard shared the given names but not the nickname of a prominent professional bowler, who was known as Bill (Mumbles) Lillard for his habit of talking to himself during a match. Only the most ardent of fans knew baseball’s Mr. Lillard refused to wear his eyeglasses when on the diamond, an explanation perhaps for his many errors. 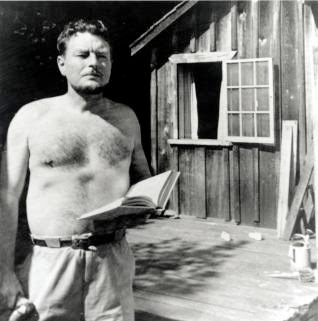 William Beverly Lillard was born on Jan. 10, 1918, at Goleta, Calif. He died on June 9 at San Luis Obispo, Calif. He was 91. He leaves his wife of 69 years, the former Sarah Marie Wright, known as Sally. He also leaves two daughters, four grandchildren, and four great-grandchildren. 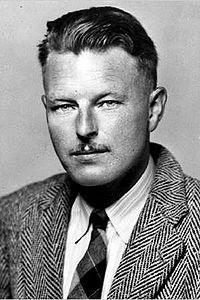 He was predeceased by older brothers Lawrence and Gene, the latter whom died in 1991, aged 77. The Globe and Mail canvasses for readers in the wake of the Victoria Times Colonist's decision to suspend Monday publication. Even Monday Magazine doesn't publish on Monday.